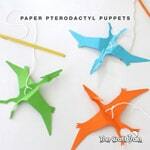 We adore Easy Paper Crafts – as paper is something that most people have readily available. 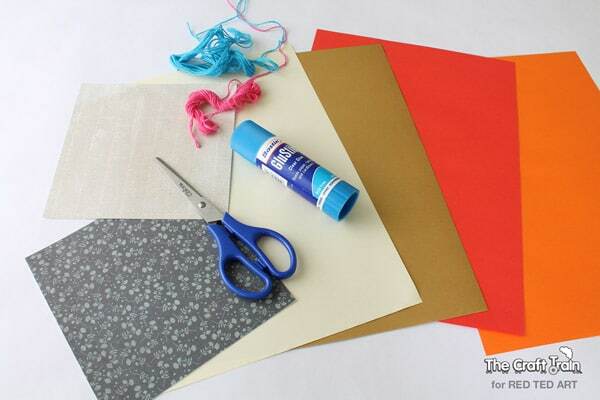 Easy Paper Crafts are also inexpensive and fun to make. 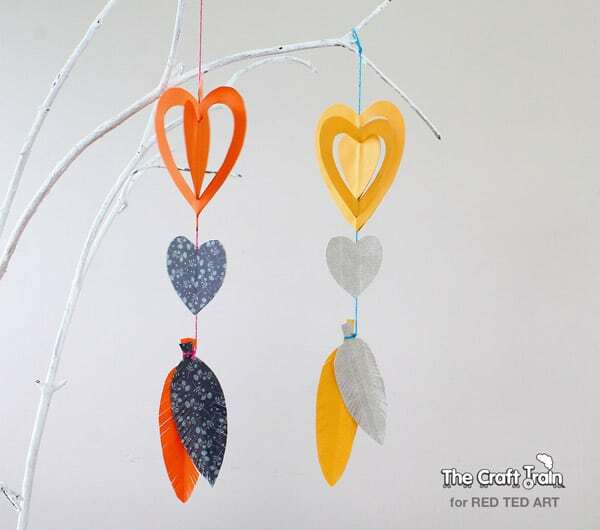 Today we have the gorgeous Craft Train share these adorable Heart Mobiles for Valentine’s Day! Part of the 31 Days of Love series. 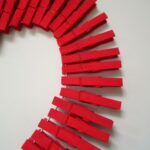 I have grouped all the fabulous guests post for easy browsing: Valentine’s Day Decorations, Valentine’s Day Cards, Valentine’s Day Treats and Valentine’s Day Gifts! 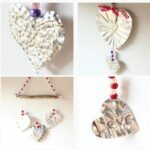 Hi, I’m Kate from The Craft Train and I’m excited to be participating once again in Red Ted Art’s 31 Days of Love. 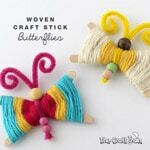 Our blog specialises in easy, fun crafts for kids and adults with the aim of inspiring people to do more crafting at home! 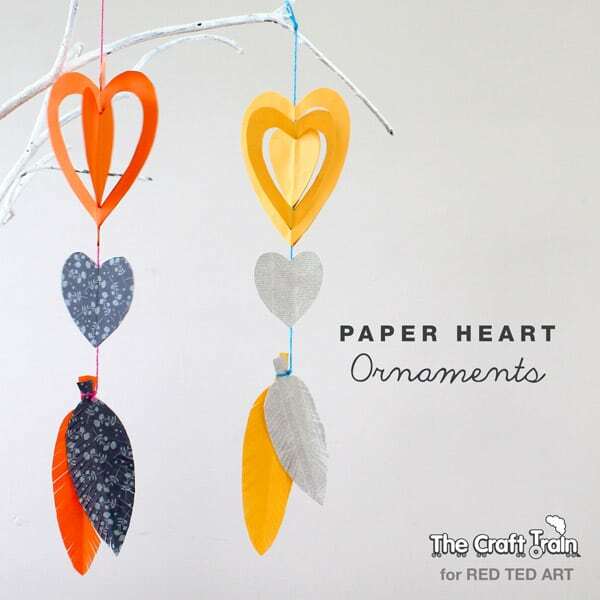 These paper heart ornaments are a fun activity for school-aged kids and make bright, cheerful decorations for valentines day. My six year old had a pretty good go at making one but did need a bit of help to get to the finished product. 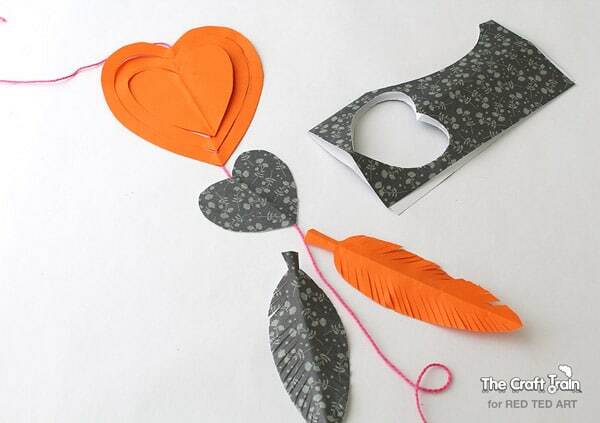 For younger kids you could simplify it by having only a single heart shape to cut out and string up, it would still look pretty! The great thing about paper crafts is that the supplies are inexpensive and they are usually quite simple and fast to make. Fold a piece of paper in half and then in half again. 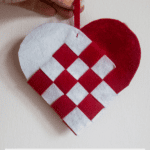 Cut out half a heart shape against the crease of the paper and then cut out a second heart inside that and a third heart inside that, consecutively getting smaller in size for each heart. 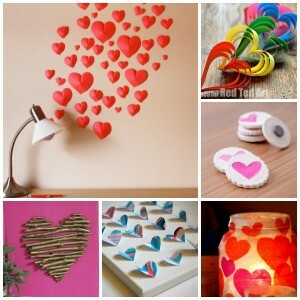 Open out the cut heart shapes to reveal heart-shaped windows and a small heart for the centre. You should have two of each size. 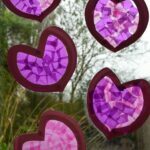 Add glue to one side of the largest heart window, place string through the centre and stick the second heart window directly on top of that. Repeat with the second smaller window, and glue the smallest heart in the centre. 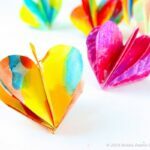 Fold a different coloured piece of paper in half and then in half again and cut out a single smaller heart shape. Glue this one onto the string underneath the first part you have already stuck on. Tie a loop in the top, and hang it up. Ours are hung on a home made twig tree. Here is a short video we made to help show how it’s done. Sometimes written instructions can make a paper craft seem more complicated than it actually is! 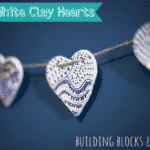 You can also follow The Craft Train on facebook, Pinterest, Instagram and Youtube! 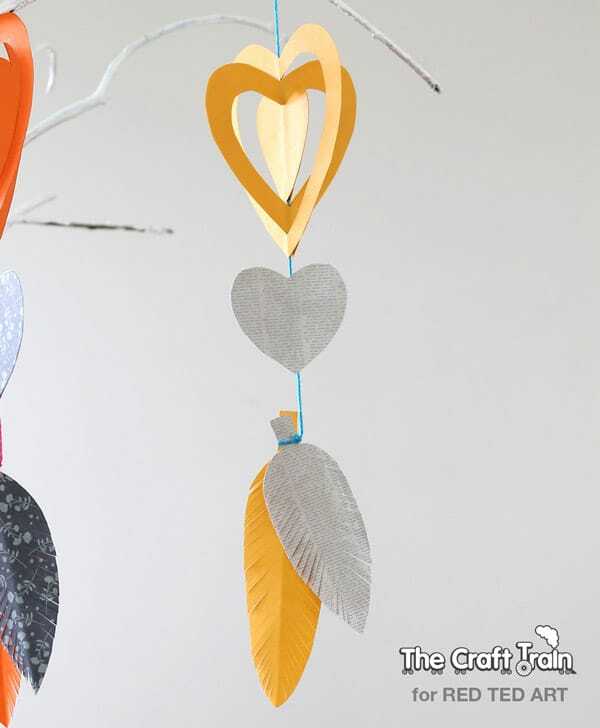 Foil Art Heart Mobiles Valentine’s Day Decorations.